Flipping through the games on TV this past Wednesday night, we saw the Orioles' Scott Feldman strike out New York's Alfonso Soriano just moments before the Rays' David DeJesus worked a walk against Boston's Ryan Dempster. With Ex-Cub Factors screaming at me, I thought it apropos to check the Ex Cub Factor of each contending team. With Paul Maholm, Reed Johnson, and Scott Downs, the Braves are tied for the most ex Cubs on the active roster. Reed Johnson went on the Disabled List with Achilles tendinitis, but he should be back soon. The Braves activated him from the DL last week; he just hasn't appeared in a game since July 28th. Believers in the Ex Cub Factor are bearish on the Braves. Jerry Hairston Jr. and Carlos Marmol should be roommates on road trips. Ted Lilly was released on August 2nd. Lilly has been tremendous for over a decade. Someone should invite him to Spring Training if he wants to keep going in 2014. 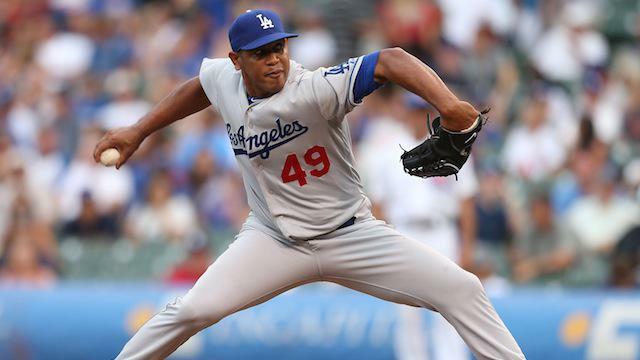 We shouldn't expect Hairston or Marmol to negatively affect the Dodgers too much. It's not like Marmol pitches in high-leverage situations for them. His career Leverage Index (pLI) is 1.52. It was 1.61 with the Cubs this season, just 0.32 after the trade. The 2013 Cardinals roster is a fine exemplification of Baseball's best rivalry. Buzz Bissinger juxtaposed the Yankees and Red Sox rivalry with the Cubs and Cardinals in his must-read Three Nights in August. Bissinger compared the Yankees and Red Sox to two spoiled brats fighting "a tabloid-fueled soap opera about money and ego and sound bites", while the Cubs-Cardinals rivalry is "two feudal city-states with eternal fans far beyond their own walls, spread throughout not only the Midwest but also deep into the South and the West." The book gets better from there. Good for Felix Pie! Somehow, he has a chance to be a bench player in the postseason. Since his call up on August 21st, Pie has mostly been used as a pinch hitter and defensive replacement. He's appeared in twenty-one games, starting twice. Marlon Byrd and Kyle Farnsworth are not personal favorites. I'm rooting for the Pirates to make it out of the NL, but it's certainly in spite of Marlon Byrd and Kyle Farnsworth. Dusty Baker is a big, walking, talking Ex Cub Factor. He never played for the Cubs, but he managed them through unforgettable postseason heartbreak that has to be part of his own emotional baggage. Among players, Cesar Izturis played parts of two seasons with Chicago. The Dodgers famously sent Izturis to Chicago for Greg Madduz at the 2006 trade deadline. Seven years ago, it was pretty clear that Izturis was a good no-bat, all-glove guy, and he's still playing at, or slightly above, replacement level with veteran leadership. That year was Dusty Baker's final season managing the Cubs. Baker also had Sean Marshall start 24 games for the '06 Cubs. Marshall was actually a decent starter before becoming an excellent relief pitcher. The Reds have missed him for much of this year. Marshall has been hurt since May 20th but should return before the end of the regular season. On Friday night, the Nationals moved to withing 4.5 games of the Reds for the second Wild Card. Baseball Prospectus gave them a 5.5% chance of winning a Wild Card, which was higher than the 2.9% chance they gave the Royals, who were only 3.5 games behind. The difference being that the Nationals trail only one team, while the Royals trail four teams. On Saturday the Reds won and Nationals lost, putting 5.5 games between them. In the AL, the A's, Rays and Royals won. The Royals are still 3.5 games behind Tampa and Texas for the Wild Card, but they gained ground on three contenders because the Rangers, Yankees and Orioles lost. Getting back to the Nationals ex-Cubs, Chad Tracy and Scott Hairston are two weak examples. 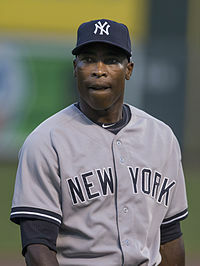 Tracy had 49 plate appearances with Chicago in 2010 before his release on July 1st. 2013 was Hairston's first season on the Cubs. He got 99 plate appearances before the trade to Washington. Too bad the Nationals are just about out of it; their Ex Cub Factor is minimal. By all accounts, Ryan Dempster is the least favorite starting pitcher of Red Sox fans. Funny thing is that Ryan Dempster has the sixth lowest contact percentage in the American League, best of all Red Sox starting pitchers. Still, Dempster has unique meltdown experience as a Cubs starter and reliever. Red Sox fans don't want that stuff on the field in October. They want Buchholz, Peavy, and Lester to get the ball to Tazawa, Breslow, and Uehara. 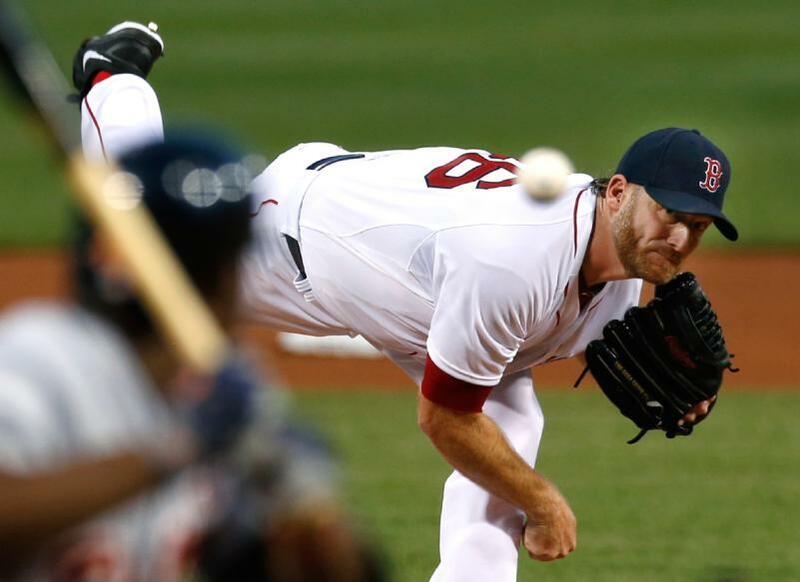 Dempster in long relief could mean one of their top 3 starters got roughed up. Or, he could come up big, pitching a bunch of shutout innings in an extra-inning game. Good for the A's; Billy Beane knows what he's doing. If the season ended today, Boston would win the #1 seed and face the winner of the Wild Card play-in game. So, Oakland and Detroit would face each other in the Divisional Round. Texas fell to 5.5 games behind Oakland in the AL West, and is now tied with Tampa Bay in the two Wild Card spots. The Rangers had over 90% playoff odd certainty a couple of weeks ago. As they sit just 1.5 games ahead of Cleveland, the Rangers' playoff odds have dropped to 69.4%. 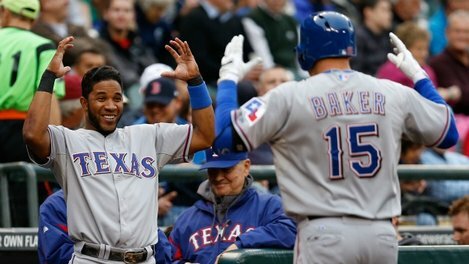 Geovany Soto and Jeff Baker are role players with the Rangers. Their contributions in the Wild Card game and any succeeding series will be limited. Baker is still one of the best hitters against left-handed pitching. Editor's note: One of our valued readers, Melrosepad, informed us in the comments section that we missed Matt Garza! Of course we did. It seems that we always forget at least one player. Garza is certainly above replacement level for the Rangers; they are better off with him. He doesn't have much Cubbie baggage, as he's always been on bad Cubs teams, never having a chance chance to break the fans' hearts. Does anyone care to guess how Garza will affect the Rangers' chances this Fall? He has not been great for the Rangers, as his 93 ERA+ shows. More interestingly, he's been a total nincompoop on Twitter, but that's irrelevant to pitching effectively. Back in 1999, Jose Molina made his major league debut with the Cubs. Sam Fuld was on the Cubs before he became a legend in Tampa Bay. David DeJesus was flipped to Tampa from Chicago by the Nationals. The Rays have something special in former Cubs farmhand Chris Archer. The Cubs traded Archer and others (including Robinson Chirinos, who's on the aforementioned Rangers) for Matt Garza. Having traded Garza for C.J. 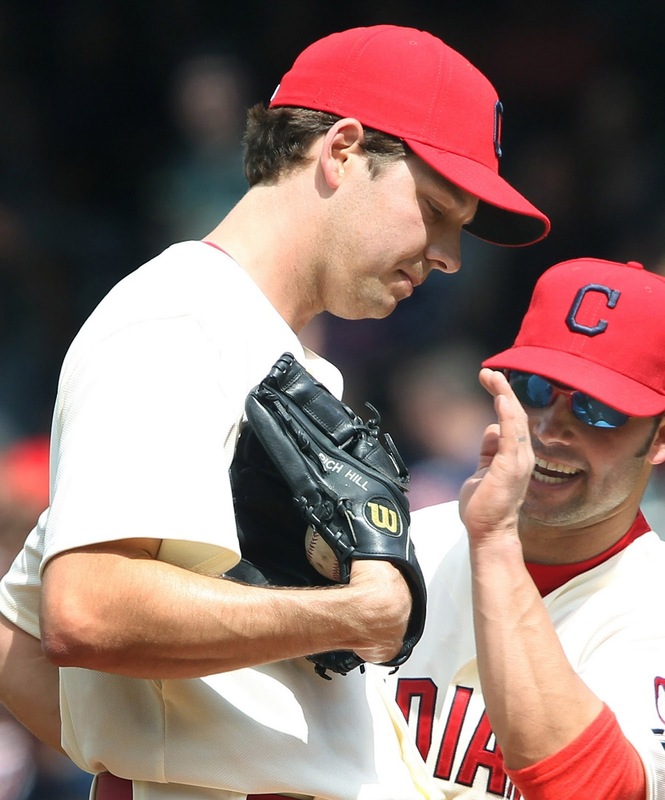 Edwards, Justin Grimm, Mike Olt, and Neil Ramirez this Summer, it's curious if the Cubs would rather have Archer. Clay Rapada made one appearance with the Cubs on June 14, 2007. He relieved Carlos Marmol in the 8th inning of a 1-run game, with 2 on and 1 out. On the seventh pitch of the at bat, Rapada got Raul Ibanez to line out to Cliff Floyd in Right Field. The Cubs demoted Rapada to the minors and sent him to Detroit, as a PTBNL, about ten weeks later. On July 2nd, the O's traded Pedro Strop, Jake Arrieta, and cash to the Cubs for Scott Feldman and Steve Clevenger. Feldman has been pretty good for Baltimore, but the Orioles are only 6-6 in his 12 starts. From what I remember of his time with the Cubs, Clevenger is a good defensive catcher even though the defensive statistics do not reflect it. Sight can me deceiving. Every team can be much better with improved starting pitching, but the Orioles in particular fit the bill. Baltimore has a nice lineup and good bullpen, but who would be their #2 starter behind Chris Tillman? Miguel Gonzalez? Wei-Yin Chen? Zach Britton? Bud Norris? Jason Hammel? The Yankees started the season with zero ex Cubs, except for their manager and pitching coach. Girardi and Rothschild definitely have some Cubbie baggage, similar to Dusty in Cincinnati. The Yankees made three separate trades with the Cubs this year. Alberto Gonzalez and Brent Lillibridge were acquired for cash or PTBNLs, given a chance with the big league club, then relegated to triple-A Scranton. On July 26th, the Yankees traded Corey Black for Alfonso Soriano and cash. Soriano isn't walking as much as he should, just 11 in 197 PA's, but he is providing power and driving in runs, with a .525 SLG, 15 HR's, and 47 RBI in 46 games. In fact, Alfonso Soriano has been so valuable to the Yankees that he already has the 3rd most Bill James Win Shares among Yankee position players. Carlos Pena is a bench player for the Royals. He could be a useful piece, if used correctly. He's good at taking walks and flashing occasional power. Asking Ned Yost to use his players correctly could be asking too much. I'm rooting for the Royals to come out of the AL. Royals-Pirates, Royals-Dodgers, Pirates-A's, and Dodgers-A's seem like the most fun World Series matchups. By Ex-Cub Factor, the Cardinals are World Series favorites.